DYV’s 2019 album-culminating workshop series will celebrate DETROIT VOICES. Students will make an album with local vocalists, singers and songwriters. They will continue composing, arranging and performing their own original material by creating their own lyrics to their favorite Suzuki songs. This year's project is partially funded by The Workforce Development and Equity Grant Program. W.E. believes local groups and leaders are essential if communities are to create safe environments where children and youth grow up successfully. The program awards grants to local groups to support innovative, youth-focused, grassroots projects to impact community change in DETROIT! We'll rely on addition support from individual backers of our upcoming Kickstarter campaign in order to produce a CD and put on a culminating show. Keep an eye out for the Kickstarter kickoff on our social media and/or join our newsletter list by completing the form on HOME page. Returning DYV teaching artist, beatboxer Stevie Soul, appeared on our very first album celebrating hip hop. Stevie is also a multimedia artist and an aspiring music producer. Check out his Instagram page mrsteviesoul, where his #yearofthebeatbox has allowed Ansara to chronicle nearly 300 days’ worth of beatboxing performances of all kinds. He’s traveled all over Michigan and the country to perform and recently shared his story of overcoming past speech problems at the National Stuttering Association Conference in Atlanta. Darell Campbell Jr. actually appears to be larger when seen with one of his instruments. This proves Detroit’s hustle, toughness, and balance produces a musical surface that actually magnifies under stage lights. As a musician, songwriter, producer, teacher, and preacher, stages are common place to express joy. He was raised in the midst of rehearsals and band meetings alongside his father. During a Christmas vacation, at the age of 10, he secretly used his father’s recording equipment and recorded and produced his very own rap album. In high school, he learned to play strings in Detroit Symphony Civic Orchestra. After graduating from Detroit’s Cass Technical High school, he bypassed the traditional collegiate education to try his hand in the traveling workforce as a touring keyboardist. "By the young age of 30, I’ve travelled through most of America’s states and now lend my hand at creating opportunities for other children to have some of the opportunities I had at a young age. The things we enjoy are given to us by God to eventually become what we use to mark our fingerprint in life. My fingerprint is recorded with The Dramatics, WAR, India Arie, Stevie Wonder...Eminem, MTV, VH1 and each day I strive to touch more." ​Ashley Nelson teaches private lessons & group classes with DYV. She grew up in Detroit and is deeply connected with many strings programs and performing artists in the city. Ashley is a wonderful, warm teacher and the daughter of musicians. Ashley is trained to teach Suzuki Violin Books 1-2. She graduated from Wayne State University with a BA in Violin Performance. Ashley has 10 years of experience teaching in Detroit through Community Music School, Crescendo Detroit and Sphinx. ​Aside from teaching, Ashley is also a musician in her own right. Here are some videos of Miss Ashley playing with a few local groups. Kris Johnson is an award-winning jazz trumpeter, composer, and educator. He has appeared on an impressive list of albums including two Grammy-nominated releases: Tony Bennett’s “A Swingin’ Christmas” and Karen Clark Sheard’s “All In One”. Kris is a trumpeter and arranger with the Count Basie Orchestra. In 2013 he was featured in the standup-comedy film “Make Me Wanna Holla” starring Sinbad. Currently, Kris Johnson is the Director of Jazz Studies at the University of Utah. Kris received his master’s (2007) and bachelor’s (2005) degrees in Jazz Studies from Michigan State University. In 2012, Kris received an ASCAP Herb Alpert Young Jazz Composers award and was selected as one of 25 Detroit performing and literary artists to receive a Kresge Artist Fellowship. Mr. Johnson has performed at some of the world’s most prestigious jazz venues including the Apollo Theater, the Blue Note Jazz Club (US and Japan), Sydney Opera House, Blues Alley, and the Hollywood Bowl. Kris has worked on film scores, big band arrangements, and nuanced curriculum for youth. See his website for more details on his exciting career. 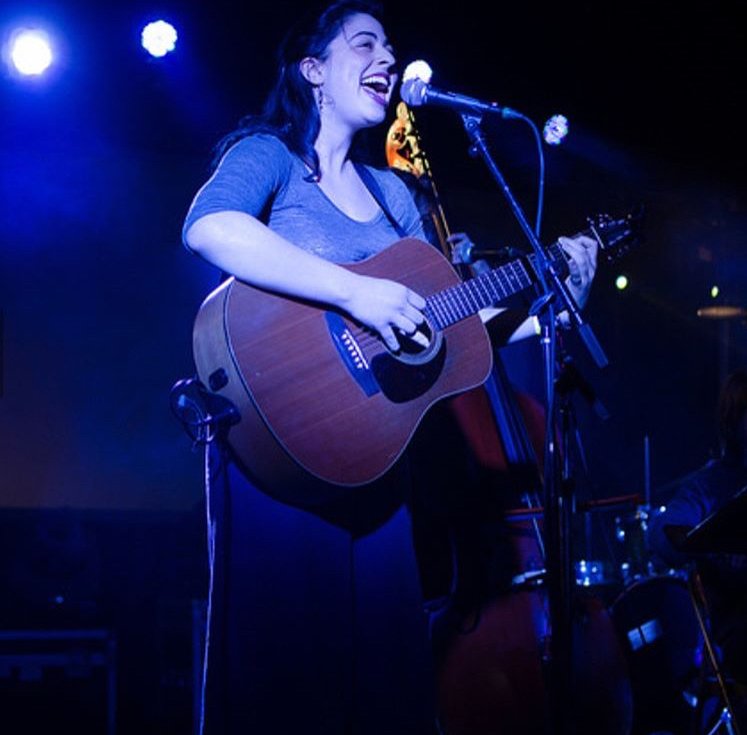 Rebecca HH Rosen is a singer-songwriter with a background in classical music and free improvisation. Since 2014, she has been touring the country with groups ranging from attic-folk to neo-soul. She’s now finding her own voice with chamber groups alongside strong vocal melodies to support smooth yet piercing lyrics. Her words are inspired by a decade-long relationship with yoga, mindfulness and meditation, with sounds inspired by Regina Spektor, Ella Fitzgerald and yMusic. Writing from personal experience and playful imagination, her songs speak to Love, nature and the child in us all. ​Rebecca received her Bachelors in Cognitive Science with a Minor in Music from U o f M. Rebecca is currently teaching herself electric bass when she's not writing songs for larger groups to play, or serving as Program Manager for Detroit Youth Volume. Follow her on Facebook for more details on upcoming shows and events. Walter Terrell Lacy III, AKA Soul Emcee Detroit, is an interdisciplinary literary and performing artist, who utilizes poetry, spoken word, and hip-hop music, as vehicles for creative expression and community engagement. Walter is also deeply dedicated to using the literary and performing arts as a tool to serve the community, often leading workshops in poetry, spoken word, &amp; hip-hop for youth/young adults. A graduate of Detroit’s Murray Wright High School in 2003, Walter went on to the University of Michigan, developing his craft as a member of the student performing arts collective The Cypher. Over the years, Walter has honed his skills as both a writer and a performer, with his written work featured in publications such as F.O.K.U.S INSIGHT Magazine, The Periphery Magazine, and Faith Driven Magazine. Walter aims to capture the undying spirit of Black people, drawing from diverse musical and oral traditions. Through poetic musings, hip-hop verse, and visual storytelling, Walter intends to speak from his soul to that of his people, in an effort to achieve self-determination, as a testimony of faith through art.